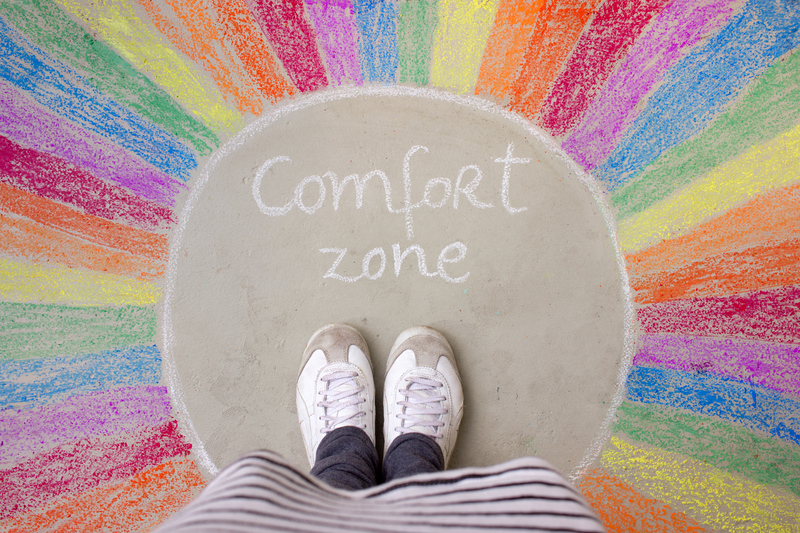 Your comfort zone is a safe place to stay in, but if you want any kind of personal growth in your life, you have to step out of it. Outside of it is everything that scares you, challenges you, and makes you feel awkward, but it is also where you learn new things about yourself, change your core beliefs, and become more of who you want to be. 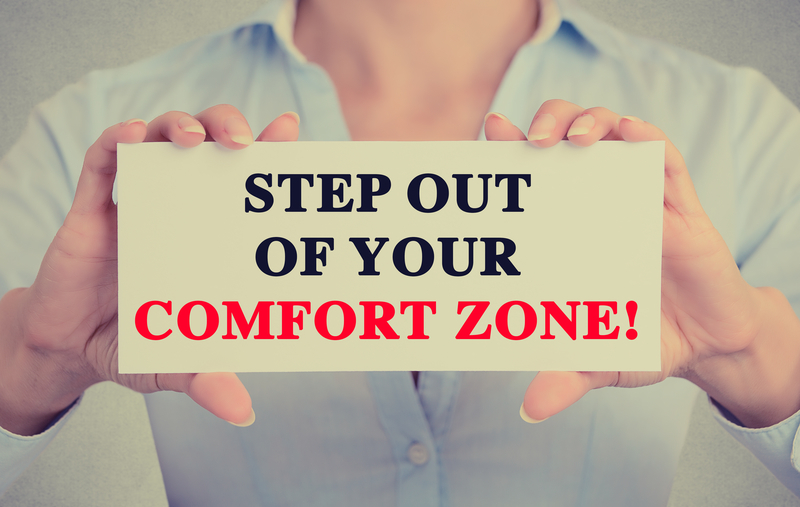 Following are some ways to step out of your comfort zone and into the life you want. When you are scared, trying saying to yourself ‘just do it!’ Those three simple words can help you take your focus off all the ‘what ifs’ and cause you to make a snap decision to jump in and just do it. I think everyone who has been single can relate to this. Calling someone you are interested in for the first time can feel stressful. It’s definitely outside of the comfort zone for most people, and thinking too much about it can cause you to put it off. But at some point you just have to do it. You have to pick up the phone, call them, communicate, and then hang up. Once it is over, it doesn’t feel as bad, but it took that ‘just do it’ mentality to get things moving. Don’t try to do something too big right off the bat. 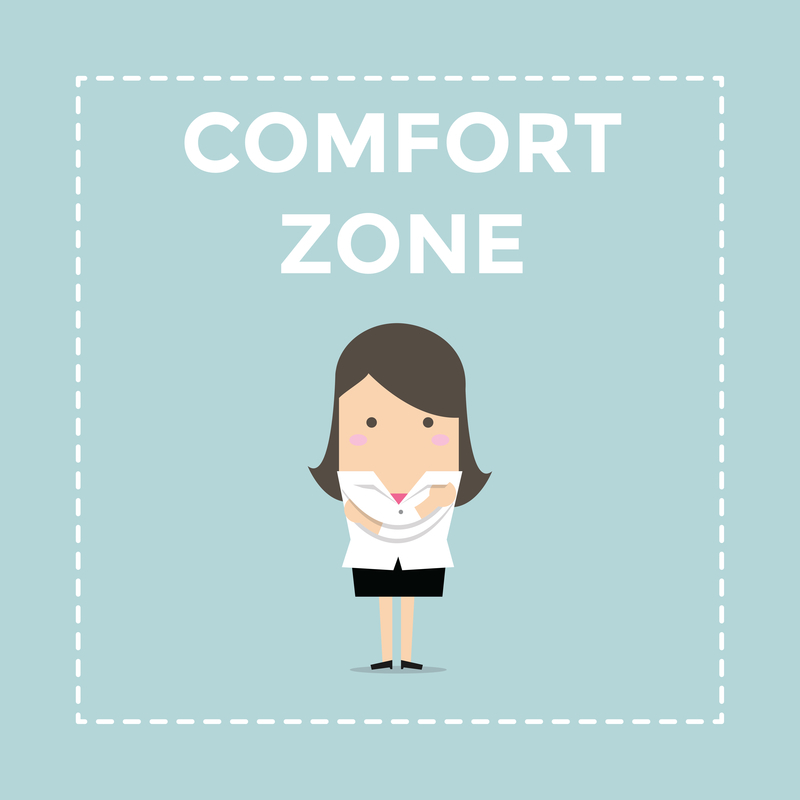 If you have lived in your comfort zone for a while, a big venture is going to feel overwhelming and that may cause you to retreat and hide where it’s safe. Start by changing little things, such as your morning breakfast, the way you drive to work, your cleaning routine, or how you interact with one person you work with. As small as they sound, all of these things are outside of your daily routine and comfort zone, and they will challenge you, make you feel awkward, and possibly even scare you a bit. 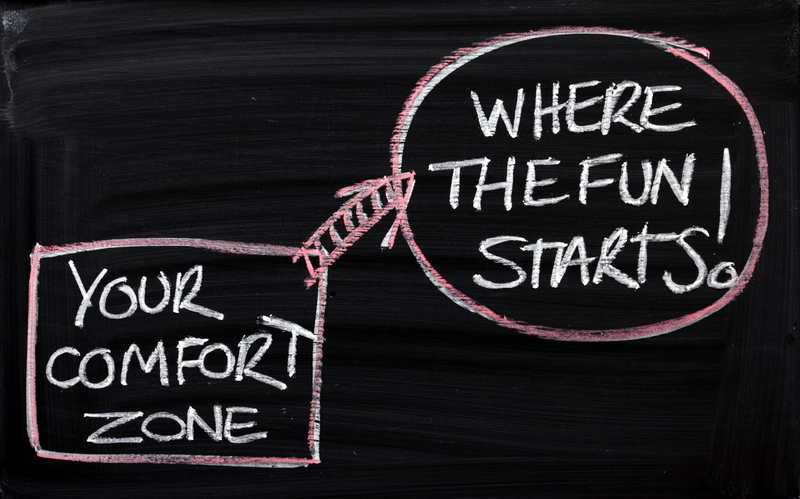 Once you see that the world outside your comfort zone is not such a scary place, move on to something bigger, such as building a new habit, working on changing your mindset, or doing one scary thing daily to move you towards success faster. 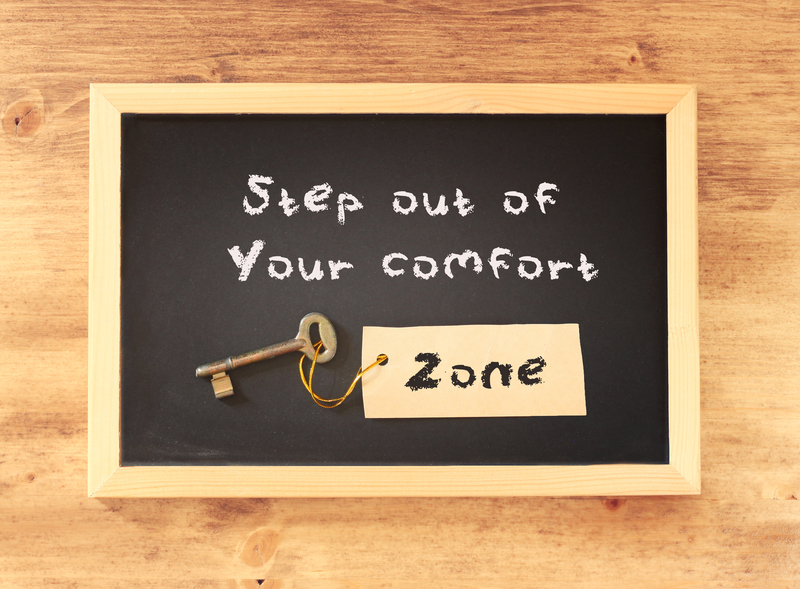 Challenges are a great way to step out of your comfort zone and stay there long enough to start to feel comfortable and, as a result, expand your comfort zone. There are two tricks to making a challenge last. First, if you are doing a challenge by yourself, make sure you consistently remind yourself of why the challenge is so important. Visualize the end result. Write down and read the benefits daily. 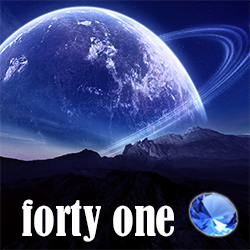 Read other people’s stories about how awesome they felt when they completed the challenge. Keep yourself motivated to keep going, and you are more than likely to stick with the challenge. Second, take a challenge with other people. If you feel that you simply can’t stay outside of your comfort zone by yourself, get the support of other people. They can be strangers, friends, or family. Take on a challenge together and you will feel motivated, supported, and obligated to stick it out until the end. Having faith that things will work out in your favor can help you step out of your comfort zone. Why? When you believe in yourself – or at the very least that things may work out, you will be more likely to take action on something that scares you. How can you develop faith that things will work out? Look at your past. All the times that you were scared, challenged, or overwhelmed passed by and you made it out alive. Things always have a way of working out, so stop focusing on what you think could happen, and have faith that no matter what happens, you will make it out alive.